Posted March 4, 2015 by Alexis Eastman & filed under Featured, News. 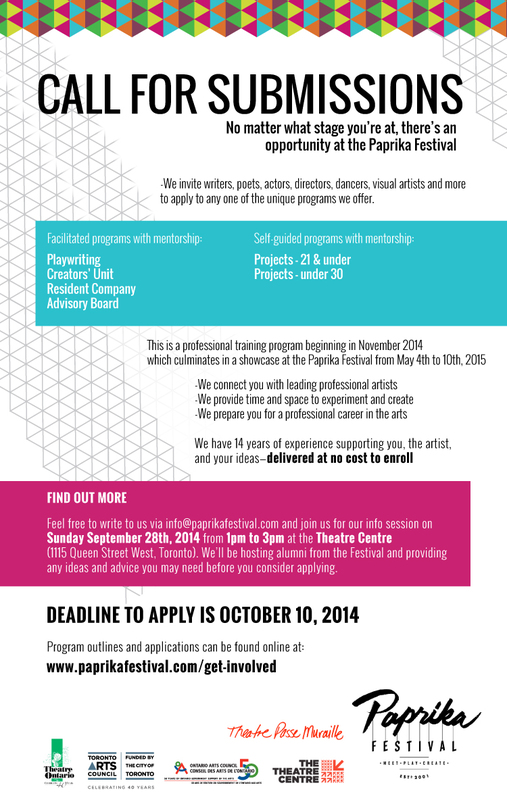 A conference and party for the new generation of Theatre Artists comes to Toronto. 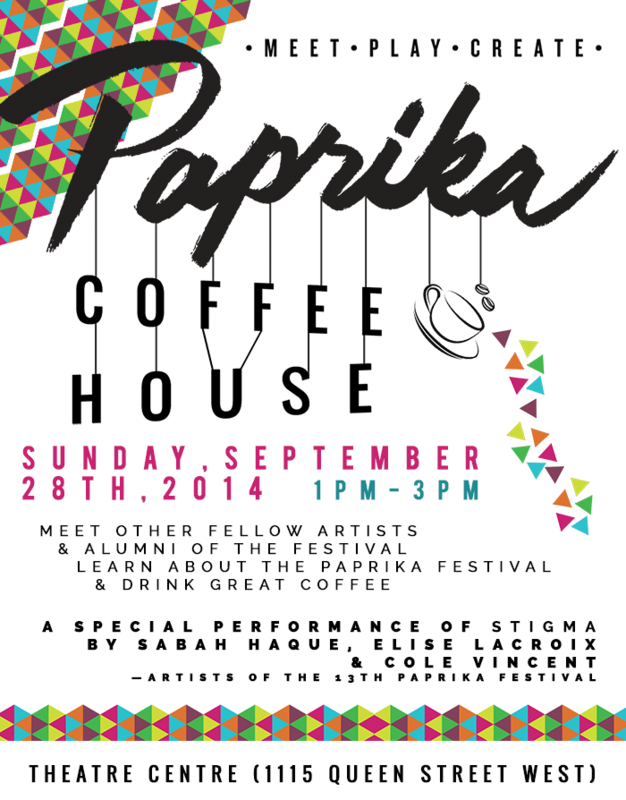 Toronto, ON – March 4, 2015 – The Paprika Festival announces The Intersection, a conference for the new generation of artists. After fourteen years of presenting theatre created by young artists, Paprika is kicking off its Festival on May 2nd at the Theatre Centre with an entirely new initiative: a day of education, professional networking, and dinner followed by a debate of the contestable statement: Talent and creative endeavour is not enough. Today, and more and more in the future, artistic professionals must focus as much on business skills and audience building as the art itself. Posted January 19, 2015 by Advisory Board & filed under Featured, News, Participant. Posted November 28, 2014 by Alexis Eastman & filed under Featured, News. Posted October 14, 2014 by Alexis Eastman & filed under Featured, News, Uncategorized. Thank you to all those who have applied to our programs for the 2014/2015 season. 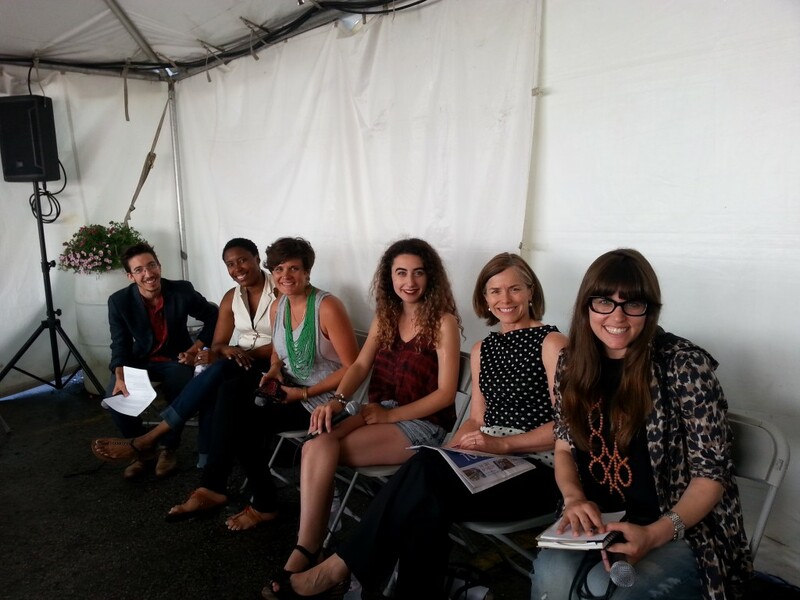 Stay tuned to our blog for photos, updates and posts from this year’s artists. Posted September 17, 2014 by Alexis Eastman & filed under Featured. Posted September 1, 2014 by Alexis Eastman & filed under Featured. Posted July 3, 2014 by Alexis Eastman & filed under Featured. Posted June 9, 2014 by Alexis Eastman & filed under Featured. 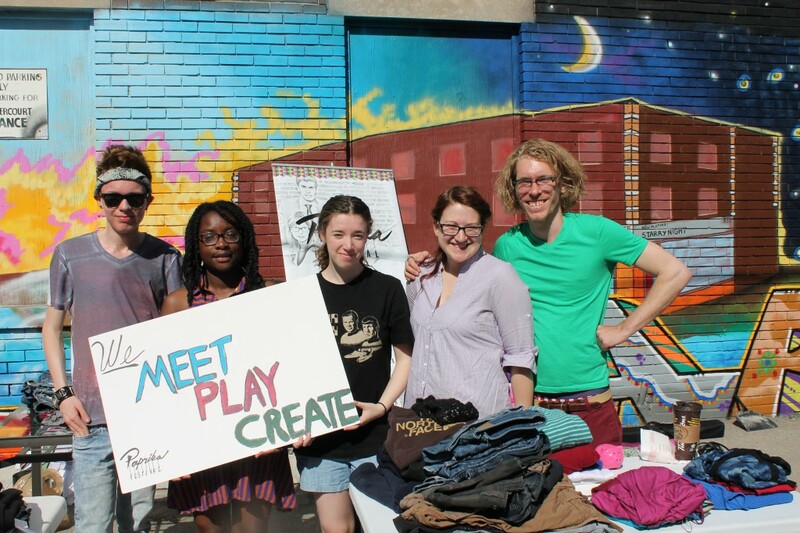 With your support, our young Advisory Board will Meet, Play, Create. Join the campaign, support us today, our goal is within reach! Posted April 15, 2014 by Advisory Board & filed under Featured. Posted April 10, 2014 by Advisory Board & filed under Uncategorized.